Has it been a while since your last trip? Are you in need of some fresh, new ideas? Look no further! Check out the latest e-magazine from Virtuoso. Book a trip with us (minimum value required) and an annual print subscription will be yours! 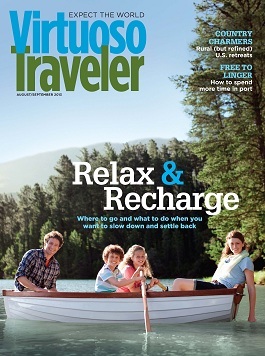 Virtuoso Traveler is chock full of fun ideas and expert advice, with great tips on where to go to slow down and settle back! From Chili to Thailand, Rome to Phoenix, enjoy an abundance of helpful information and good reading.